Do you remember your very first Bible? Mine was a gift from my grandfather. I must have been six or seven years old. It was a hard back. It had a red cover. It was small. It had thin pages and tiny script. But that didn’t matter because it was unreadable anyway. On the occasions, I tried, I had absolutely no idea what I was reading. It was a closed book. King James could keep his Bible. Without the Holy Spirit illuminating the text, it was like reading a sundial by moonlight. It was dull and gave the wrong time. At senior school, I encountered the Revised Standard Version (RSV) in RE lessons. This was marginally better but I was more interested in the line drawings and maps than the text itself. At University, when I became a Christian, the Bible came to life. And I wanted a copy just like the guy who led me to Christ. It didn’t do much for my spelling because it was the New American Standard Bible (NASB) but at least it had a readable font, the sentences went right across the page like a real book and it had cross references that kept me occupied for hours. The fashion was to cut off the hard cover of your Bible and glue on a piece of off-cut leather, or denim from a pair of old jeans. With long hair we walked around campus, bear foot, carrying the kind of Bible John the Baptist must have had. I thought it would be cool to underline passages that spoke to me and so I used a highlight pen. The only problem was it bled through to the other side and pretty soon I was underlining most of the text. Then I discovered my pastor had a wide margin, loose leaf Bible, so he could add his notes and make it look like he was preaching straight from the Bible. So I wanted one like him too. I bought a loose-leaf Bible and began adding his sermon notes in the margins and on extra pages. But I gave up because my writing wasn’t that good and there wasn’t enough room in some passages anyway. Eventually I upgraded to a black leather New International Version Study Bible (NIV) and I decided not to write anything in it. And that’s been my companion through three editions for the last 25 years. If you don’t own a Study Bible and you are serious about growing in Christ, I recommend you invest in one. The Life Application Study Bible is also good. And if you want a Bible for daily devotions, go for the One Year Bible which provides you with an OT, NT, Psalm and Proverb for each day and you will read the Bible in a year. In our sermon series on the Privileges of Church Membership, today we are thinking about how to read the Bible diligently. Please turn with me to 2 Timothy 3:10-17. 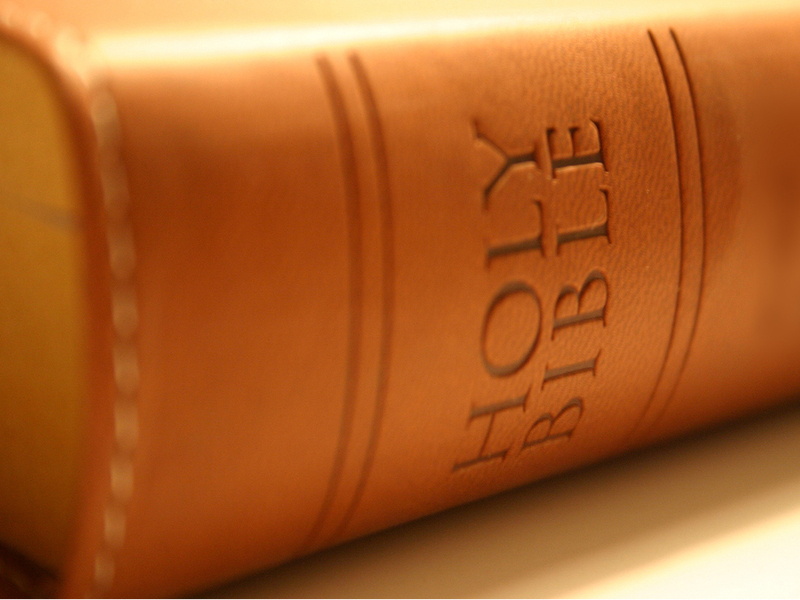 Why should I read the Bible diligently? How can I read the Bible diligently? What will reading the Bible diligently achieve? “every word that comes from the mouth of the LORD” is indeed “God breathed.” When Jesus was tempted by the devil he quoted this verse. “But the Advocate, the Holy Spirit, whom the Father will send in my name, will teach you all things and will remind you of everything I have said to you.” (John 14:26). This is how God breathed through the Prophets and Apostles to record His revelation. The Apostle Peter describes the process he personally experienced. The image is of a ship being blown along by the wind. This is why we need to be intentional in our daily reading of the Bible. The Bible is not a collection of fables, myths, or even people’s ideas about God. Through the Holy Spirit, God revealed Himself fully and finally in Scripture. His messengers wrote down the maker’s instructions. This process is known as ‘inspiration’. They wrote from their own personal, historical, and cultural contexts. Although they used their own minds, talents, language, and style, they wrote precisely what God wanted them to. Because the Bible is inspired it is also infallible – without error. So we must read the Bible carefully because it is God’s inspired and infallible word. And because this book is God’s word, we should not be surprised that it is like no other book on earth. It is supernatural. I discover it is not me reading the Bible. God is reading me through the Bible. That’s why Mark Twain once said, “It ain’t those parts of the Bible that I can’t understand that bother me, it is the parts that I do understand.” Why should I read the Bible diligently? Because it is God’s living and active Word. Our daily food, a light to guide us. It is literally God breathed. It is unique, authoritative, inspired, infallible. The first observation? we will learn little in isolation and much from other people. As much from those who obey God’s word as from those who don’t. We won’t develop convictions from theories but we will by seeing God’s word transform people’s lives as well as the consequences in the lives of those who reject or resist the Maker’s instructions. When we encounter Jesus in other people we never remain unaffected. Timothy learnt from his grandmother and his mother. Their relationship with Jesus drew Timothy to Jesus also. The Apostle Paul points to the work of Jesus in his life as well. He invited Timothy to reflect on his walk with Jesus and to follow him. Who inspires you? Who motivates you? And what is it that inspires you to follow Jesus like them? Paul goes on to outline the value of scripture. They are “useful for teaching, rebuking, correcting and training in righteousness…” This is why we emphasize expository preaching at Christ Church. Simple explanations, clear outlines, meaningful illustrations and relevant application. How can we “correctly handle the word of truth”? How do you handle anything carefully to avoid dropping it? With all five fingers. One way to remember this is to imagine your five fingers represent the need to Hear, Read, Study, Memorize and Meditate on the Bible. We need to hear Gods Word spoken and preached, we need to read it for ourselves, to study it carefully, to memorize key verses diligently and to meditate slowly and deliberately. Christian meditation is not about emptying your mind but filling it. Take time to reflect upon God’s word worshipfully, devotionally, conversationally. That’s true meditation. I use a very simple Bible study method which helps me handle the Bible correctly. It will revolutionise your reading and transform your study of Scripture. This approach to Bible study can be summed up in three words: Observation, Interpretation, Application. Take a sheet of paper, turn it landscape and draw two vertical lines making three columns. Write ‘Observation, Interpretation and Application at the top of each column, along with the passage you are studying. In the first column make some observations. Ask “Where? How? Who? When? and What does the text say?” Ask what is the ‘big idea’? Observe whether the passage is history, doctrine, parable, prayer, liturgy. Learn to observe the passage. Once you have listed some observations turn them into questions in the second column. Interpretation asks “Why. Why does the text say this?” Why now? Why here? Why in this order? Don’t ask the question ‘why’ before you have answered the question ‘what’. Look for meaning, implications, significance. And it doesn’t matter if you have a list of unanswered questions. That just means your brain is warming up. Pray and ask God to give you the same illumination of the Holy Spirit as he gave those who were inspired to write the scriptures in the first place. A good Study Bible will have a cross reference index and answer most of your questions. then other books of the Bible. When you have begun to make some observations and begun to understand the meaning of a passage, the third step is application. Application asks “How does the text apply to me?” The acrostic ‘SPACE’ is a helpful reminder. Hearing, reading, studying, memorizing and meditating on God’s word is intended to “equip you for every good work.” That is what we were saved for. We must become doers and not just hearers of the word. “Everyone who hears these words of mine and puts them into practice is like a wise man who built his house on the rock.” (Matthew 7:24). Every application will involve either your relationship to God, your relationship to others, or your personal character. We have discovered that all scripture is God breathed and is useful for teaching, for rebuking, for correcting and for training, for what? What’s the point? “So that God’s people may be thoroughly equipped for every good work”. (2 Timothy 3:17). In other words, the Word of God equips us for work. The better we know the Bible, the better we will serve Him and please Him. Is that your desire? Then let us make a pact today with God. Let us be intentional and read, mark , learn and inwardly digest the scriptures so that we are equipped for every opportunity, every challenge, every good work the Lord has prepared for us to do. With the inauguration of Donald Trump this weekend as the President of the United States, a new era for our world has dawned. This entry was posted in Bible, Sermons, Theology on January 22, 2017 by Stephen Sizer.